Acoustic guitar music can be influenced by blues, classical, country, jazz, or rock. It can be simple or complex, joyful or melancholy, fragile or powerful. The acoustic guitar is still the most widely played type of guitar in the world! Here at GT you can learn how to play many of these style of Acoustic music with these style tutorials. 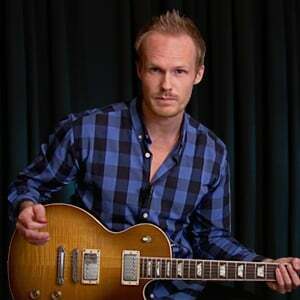 In this tutorial, Anders Mouridsen will teach you ragtime, or country-blues, fingerstyle guitar. Anders will introduce this style and discuss the history a bit, then teach thumb independence. Then it's time to add chords and melodies, after which we'll learn some examples inspired by Blind Blake, Rev. Gary Davis, and Scott Joplin. In these six lessons, I will guide you through a small section of The Swan Lake ballet, adapted for guitar. We will play it in the key of Am to make the fingerings easier. First I'll show you the thumb part, then we'll add the melody, and finally we'll put it all together. In this tutorial we'll be covering topics ranging from moving chord shapes, to hammer-ons, to right hand strumming techniques. Each lesson will help showcase a different aspect of Jack Johnson's style, and will help you learn how using the acoustic guitar primarily as a songwriting tool can serve to better any player's approach to the instrument. Focusing on Mayer's style on acoustic guitar, this tutorial provides 10 examples, all of which showcase a different element of his style on guitar. By the end of these lessons, you should have a greater insight into using percussive techniques, dropped tunings, and interesting chord voicings - and be able to see how you can introduce these elements into your own playing. Welcome to Acoustic Fingerpicking, Intermediate Level. 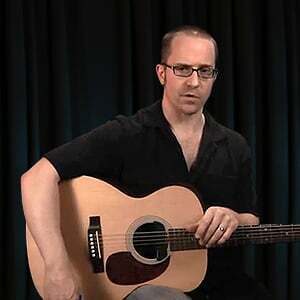 In this set of lessons, we'll build on the skills learned in Acoustic FIngerpicking for Beginners, Levels 1 through 6. We'll take patterns and pattern variations learned in the Beginner section, and begin combining them within a single song. This will allow you to create song arrangements that are more interesting, varied, and dynamic. Learning to combine patterns leads to refined coordination, and lays the groundwork for adding in some exciting fingerpicking figures, which will be presented in Acoustic Fingerpicking 8, Fingerpicker's Goldmine. 2: Acoustic Fingerpicking 8: Picker's Goldmine! Fingerpicker's Goldmine is a treasure trove of classic fingerpicking figures, perfect for adding flavor and complexity to fingerstyle guitar songs. From Hot Tuna to Jack Johnson, Joni Mitchell to James Taylor, these classic figures have been used extensively by acoustic music's icons. 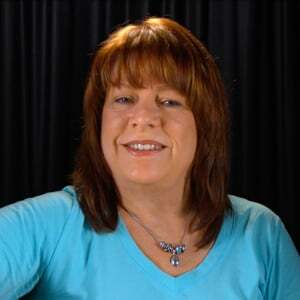 This tutorial is a continuation of the Acoustic Fingerpicking Series, created by Lisa McCormick. All prerequisite skills and concepts necessary to master these figures are taught in earlier lessons in the series. 3: Acoustic Fingerpicking 9: Learn the Theme Song! This tutorial is the graduation ceremony for Acoustic Fingerpicking, Levels 1-8. Learning to play this tune will draw on skills you have learned in the previous levels, and give you a nice instrumental tune for your repertoire. In Acoustic Strumming Level 2, we build on the foundation created in Level 1, and move into the Classic Must-Know Strumming Pattern that underlies much of folk, rock, pop, country, and blues music. We'll learn several songs and variations along the way. Using folk strumming techniques learned in the Acoustic Strumming Step-by-Step tutorials, this classic folk ballad also features a fun new challenge: a melody solo you can blend right in to the arrangement. This traditional ballad is a lot of fun to learn to play, with a great little acoustic melody solo and upbeat strumming technique. The story is great too. They really had it out for this poor guy, John Barleycorn. Have fun with this one! In this tutorial, we'll take a note-for-note look at how to play the beautiful traditional tune, "Oh Danny Boy". 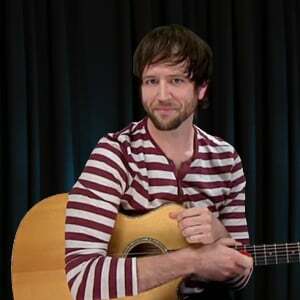 We'll look at all the various elements of the song and how to play it fingerstyle on acoustic guitar, and do two play alongs: one in slo-mo and one at tempo. Plus, we'll discuss the underlying principles of practice that will make learning to play this tune much much easier! Learn this haunting Celtic tune, played in 9/8 time and DADGAD tuning. Legend has it, this tune is too beautiful and mysterious to have been written by human hands. Its composition is credited to the Faeries of Ireland. Take a close up look at the 12-string acoustic guitar. Find out why and how it makes such a rich harp-like sound, and how you can adapt your 6-string skills to a 12-string guitar and make magic happen! 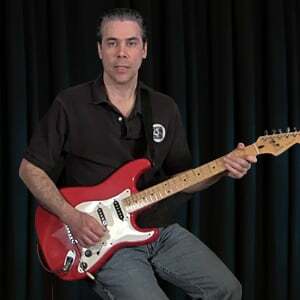 In this style tutorial, Dale Turner will teach you some ways that you can spice up your common "campfire" style chords. You'll learn how to create chords like add2/sus2, add4/sus4, and major 7 in C major and A minor. Dale will also show you upper register common tones. He'll then demonstrate some strumming and fingerpicking styles used by well known acoustic players, and finish it all off by putting it all together in a performance. 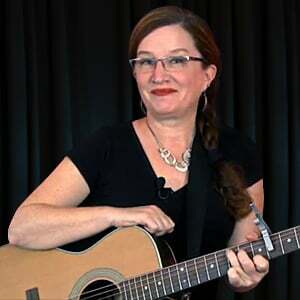 In this collection of lessons, Lisa McCormick is the guest host for the GT channel and teaches you tips and tricks on using a partial capo, suspended chords, and a special holiday episode on Christmas acoustic guitar. 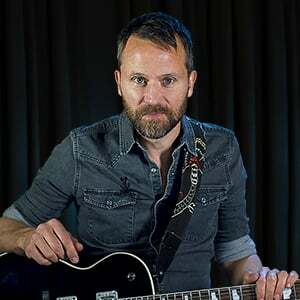 Neal Walter is best known for his classic rock tone and style, but beneath the noise is a softer "sweet sounds of acoustic" style. 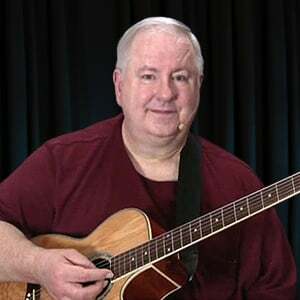 This is a collection of acoustic guitar lessons from the Guitar Tricks Channel host. In this artist study Mick Leonardi will teach you several guitar techniques in the John Prine style, used to support the storytelling in his songwriting. First we'll look at fingerpicking that incorporates the vocal melody and bass lines; then the use of boom-chick strumming. Then we'll look at the use of hammer-ons in 6/8 time, and strumming with a melody. We'll finish it all off with a look at banjo roll fingerpicking. "New Age" playing is used to describe acoustic guitar playing in its solo form that demonstrates a mixture of technical prowess and song-writing. Soloists such as Andy McKee, Antoine Dufour, and others demonstrate exceptional playing on the instrument, all the while writing meaningful songs and great melodies. Artists such as Kaki King and the late Michael Hedges have taken such ideas a step further, employing the style alongside other instrumentation (i.e. drums, bass, vocals, samples, etc.) The "New Age" style can both be used as a solo technique, as well as a great addition to a live band set-up. This tutorial works to showcase a variety of rhythmic, harmonic, and compositional ideas to bring out the "New Age" acoustic style in every guitar player. The acoustic guitar, like the players of the genre have worked to do, is taken into new territory and allows for students to see how the "New Age" style of playing has opened the doors for the instruments possibilities. All 10 examples showcase a different way that guitarists can take this new approach to their instrument. Stringband Guitar: O Brother, This is Fun! 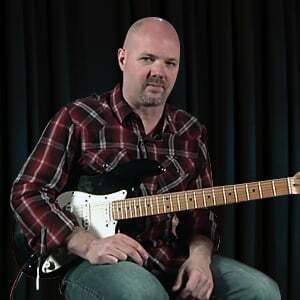 Learn how to play basic Stringband guitar in the 4 most popular keys. The acoustic guitar has a specific and important role to play in traditional Stringband music. It's a lot of fun, and easier than you might think! In these six lessons, I will introduce you to the concept of two-note chords. Then I will show you a small example song, so you can see how they can be used in a musical context.